Displaced Phan is a Philly Sports obsessive residing in places not named Philadelphia. Send Lager, soft pretzels, and Tastykakes. 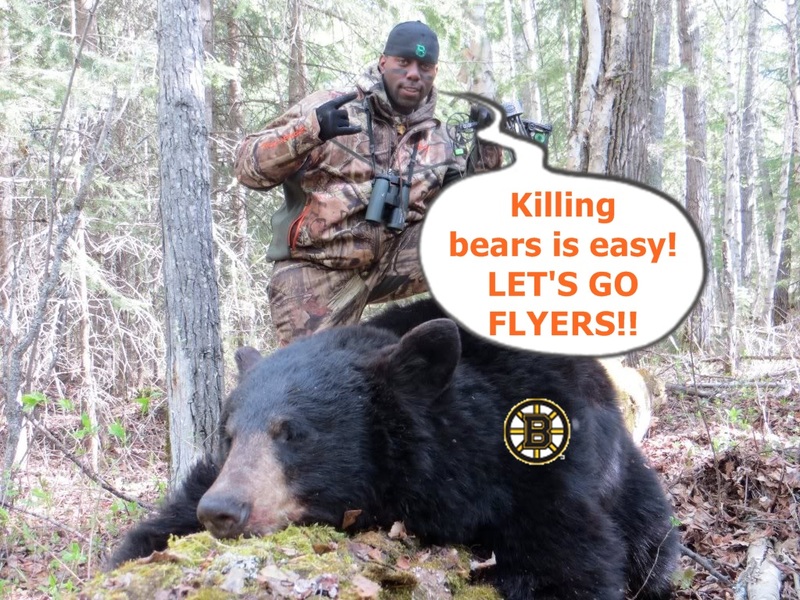 This entry was posted in The Eagles, The Flyers and tagged bears, Bruins, Eagles, Flyers, hunting, Trent Cole. Bookmark the permalink.